Why is the 2017 Jeep Wrangler Unlimited one of the most notable jeeps out there? For ages, the jeep has drawn the attention of individuals and families who want to own a vehicle that can take them over any terrain. The vehicle, which comes in both a standard two-door model and the four-door model in the Jeep Wrangler Unlimited has the proved its ability to provide people with a vehicle they can always depends on. The Jeep Wrangler Unlimited features several road-ready features such as the rear axles with locking differentials, rigid front, skid plates, hill descent control system, the capability to disconnect the anti-roll bar in the front, and departure and approach ability designed especially for rocky terrains. The 2017 Jeep Wrangler Edmonton is perfect for the outdoorsy personalities. What about the updates though? The manufacturer is currently preparing to unveil its 2018 Jeep Wrangler Unlimited and for this reason, the 2017 model only comes with minor upgrades. The 2017 model features LED headlights and fog lamps. Several other optional features are also available for buyers to consider. For the 2017 Jeep Wrangler Unlimited, the engine remains the same as the previous model. 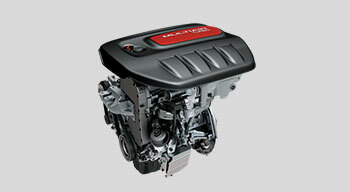 The reason being is that the 3.6-liter Pentastar V6 is an award-winning engine. Boasting 285 horsepower and 260-pound torque, the engine remains a permanent favorite in drivers’ book. When you take the jeep over rocky surfaces or on the highway, you can feel the vehicle smoothly gliding without any difficulty. Is it the finest engine in a Jeep Wrangler? You bet it is. Drivers have the option to select a five-speed automatic transmission if they want to forgo the standard six-speed manual transmission. 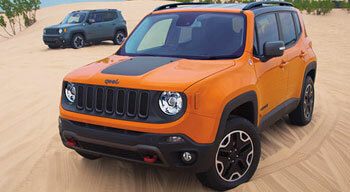 In terms of fuel efficiency, there is no difference between the two-door and four-door vehicle. Furthermore, due to several variants in the gear ratios and axles, both the automatic and manual gearboxes function effortlessly on and off the highway. The exterior of the 2017 Jeep Wrangler Unlimited does not deviate from its original shape—boxy and zero compound curves. Fans of the Jeep Wrangler have fallen in love with its shape and changing it now may lead the manufacturer to face backlash from the loyal fans. The only enhancements on the vehicle you can expect to see are the suspension and chassis as well as minor body improvements. The 2017 model is equipped with upright windshield and easily folds down on occasions where people may need to lean above the hood. The tires are forced outwards into the sides, which is what allows the 2017 Jeep Wrangler Unlimited to receive its departure and approach positions. The primary changes in the exterior of the vehicle are the large mirrors, LED lights, large bumpers, fog lights, and roll bars to increase passenger safety while driving. The 2017 Jeep Wrangler Unlimited no longer uses plastic material, having exchanged it with a sophisticated instrumental panel. You can choose either a hard or a soft top to go with your four or two-door Jeep Wrangler Unlimited. 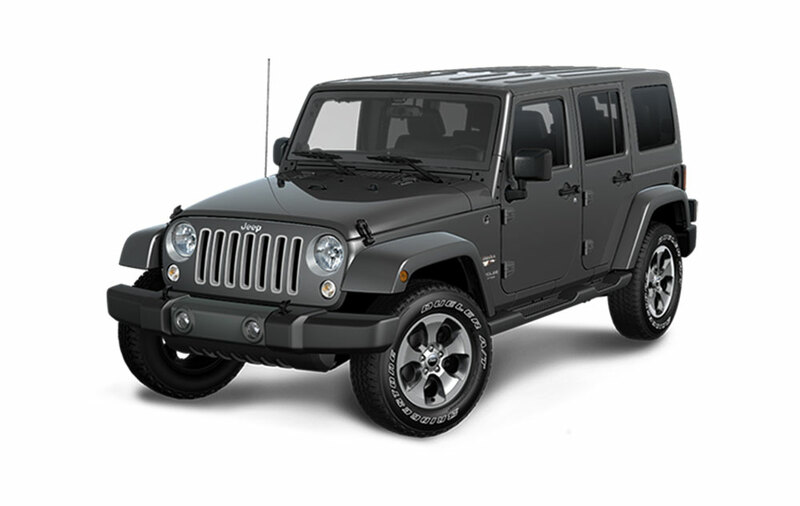 Moreover, in comparison to the car you see on the roads today, the manufacturers of the Jeep Wrangler Unlimited decided to deviate from the norm by using gray interior trim parts. However, buyers have the option to change the colors to red, black, or tan. 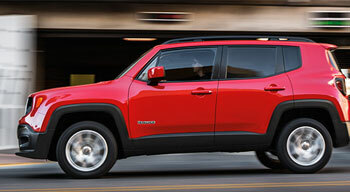 A modern element of the jeep is its metallic accent parts on the dashboard and other surfaces. Except for the seats, the interior surface is hard to touch. 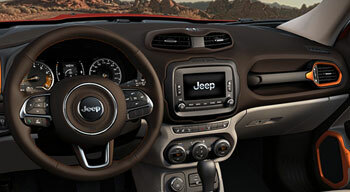 Inside the jeep, there is a control center, which is easy and simple to operate. You can make adjustments to the temperature of the car for instance while driving the car, either on or off the highway or road. Buyers who want a more spacious interior will find the Jeep Wrangler Unlimited to their liking, as it not only gives them increased leg space, but increased cargo capacity as well. The high quality leather on the seats makes for a comfortable ride. Up to five people can sit in the 2017 Jeep Wrangler Unlimited. The spacious interior also provides passengers abundance of space to place small items. 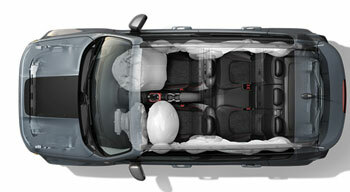 When you fold down the rear seats, you free up to 86 cubic feet of space. The basic features on the 2017 Jeep Wrangler Unlimited include detachable front doors, folding top, reversible floor mats, fog lamps, LED lights, cloth upholstery, and a 60/40 spilt rear folding seats. The vehicle also includes an 8 speaker AM, FM, and CD system, 12-volt power outlet, satellite radio, USB port, auxiliary input jack, compass, external temperature gauge, and air conditioning. The basic off-road features in the 2017 Jeep Wrangler Unlimited include skid plates, hill-start assist, transfer case, one rear hook and two front hooks for towing, and the Command-Trac four-wheel drive part time system with a transfer case. Popular unlimited options include leather seats, automatic climate control system, remote start, premium sound, and navigation system. Should you purchase the 2017 Jeep Wrangler Unlimited? Jeep Wranglers have always been popular with the youth as well as large families who require a spacious interior to keep their belongings and want ample seating space for their children. If you are interested in purchasing a vehicle that can provide you with modernized features, advanced upgrades, and a traditional body, you have come to the right decision. You can check out the 2017 Jeep Wrangler Unlimited at Derrick Dodge in Edmonton. Test the 2017 Jeep WranglerUnlimited at Derrick Dodge! Whether you’re ready to make a purchase or just curious if this might be the right model for you, take the drive from St. Albert or Sherwood park to get behind the wheel of the 2017 Jeep Wrangler Unlimted at Derrick Dodge Chrysler Jeep RAM. Our doors are open to serve you seven days a week, and you can always contact us for more information.